Will Windows 8 Change Home Computing For Good? After months of pre-release versions, cryptic announcements and – lest we forget – interminable flame-wars over the looming death of the Start menu, Windows 8 is truly bearing down on us all. Microsoft’s marketing blitz – estimated to cost a cool $1 billion – is well underway, with flashy teaser trailers cropping up on Youtube and a rock-bottom upgrade price for current Windows users to incentivize the switch. One thing’s for sure at this point: this is not just a cosmetic upgrade. That trailer makes it quite clear: this is Microsoft’s bid to own the next ten years of home computing. Tellingly, to my eyes, nobody touches a keyboard or mouse at any point in the spot. Windows 8 is all about touch interfaces and that other ideal of consumer IT circa 2012 – that of unifying all your devices, from the desktop to the games console to the smartphone, with an OS that has a finger in all of them. With the dozens of devices due to ship the morning after launch, tooled up with Windows 8, computer and mobile device makers have got the message. The new OS has been read as a license to break with the classic desktop and laptop form factors. At the more conservative end of the market, there is a new focus on all in one computers. Heavyweight PC companies from HP to Asus have offered multi-touch screen PCs for a while, but Windows 7 did not provide much in the way of native support. All that is changing with 8, which offers both the new ‘modern’ UI designed ground-up for gestural control, and a revision of the classic Windows layout retrofitted for touch control. Assuming Microsoft can get its drivers in order for the 26th, these existing touch-screen PCs will get a lot more fun overnight for those users prepared to take the plunge and upgrade. Meanwhile, Dell is offering new touchscreen versions of its Inspiron and XPS One all-in-one machines, and various other players in the PC world – great and small – are looking to grab a share of the touch-enabled market. 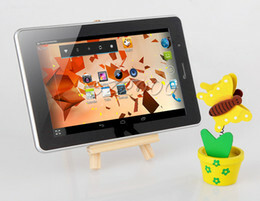 More intriguing are hybrid designs like Sony’s Tap 20, which splits the difference between the AIO and tablet formats. It’s not as portable as an iPad, with a 20-inch screen, but it’s mobile enough for any home use, can sit flat on a table or propped up on a flexible stand, and comes with its own wireless keyboard/mouse combo for ‘traditional’ computing purposes. Factor in features like SmartGlass, which turns Windows 8 devices into wireless controllers for an Xbox, and the Tap 20 (or machines like it) could become genuine, if quirky, competitors in the home PC market. This, hopefully, is the shape of things to come. Windows 8 does the heavy lifting in terms of ensuring cross-platform compatibility and interaction, even in its cut-down but still powerful ARM version, Windows RT. It makes this possible first of all through a powerful set of common development tools and standards (including the integrated ‘charms’, which organise features common to many different apps), and secondly through intelligent use of networking, cloud computing and related technology. With that infrastructure in place, the way is open for hardware and software designers alike to find slicker, quicker or just plain crazier ways to use a computer. The biggest surprise in all this is the sight of Microsoft being active, rather than reactive. It would be easy to say that it is trying to beat Apple on the latter’s home turf, and certain features – notably the ‘walled garden’ Windows app store – are clearly inspired by the closed, harmonious ecosystem that Apple made such a compelling selling point, especially on its mobile devices. But Windows 8 does something that Apple, with its total vertical integration of software and hardware, can’t: it gives license to PC manufacturers to be bold and innovative themselves … and not before time. For the next month or two, it will be Apple for once that looks like the lumbering behemoth, especially following the lukewarm reception to the iPhone 5. To press the advantage, Microsoft will have to get Windows 8 onto enough PCs to make a difference, and lure forward-thinking app developers out of their Apple- and Android-dominated mindset. Now the PC market continue reduce in the last 3 months, The windows 8 maybe someways increase it, but for a record shows 70% company do not want to update their OS from windows 7 to 8. Maybe they think windows OS update too frequently . I doubt this is true. For a start, many companies still were using Windows XP even when Microsoft said that they were going to phase out support for it, and how long ago was that? Could not have been longer than a few months ago, while XP has been out for about ten years. In fact, three years ago I bought a refurbished computer, a little netbook, that came with Windows XP. Windows 7 was already out in full force by then, so we will have to wait and see if the two operating systems cannot live together harmoniously and companies slowly start to update for the new OS. Hopefully the tablet computing is evolving and this is where we hope that Windows 8 is going to make its way. No one wants to sit in front of a screen and then do the touch thing, they want to lay down and use the system laxatively. Since tablet are emerging nowadays with configuration equivalent to a desktop system we can deduce that Windows 8 will be popular with it. New arrival , welcome …nice post. keep updating. This is very good blog about the topic. Thanks for the good works. That’s interesting. I think Windows 8 will change home computing.. I doubt Win 8 can achieve the same popularity as Windows 7 did. Tablet usage is definitely on the rise but Microsoft really should keep their main focus on PC users and make it as user-friendly and stable as possible. Time will tell I guess. Great post. Personally I do believe that Windows 8 will have a feature or two that will be notable, But overall having the same experience (UI) wise on your touchpad and desktop computer will be one of the single most common advantages of the new operating system from Microsoft. Well That’s great! i am regularly following your articles. Like becoming a fan…..
Microsoft is the great company that always maintain quality. I believe Microsoft make the best for the users. Windows 8 is indeed good and I am sure that this metro style will bring a new revolution in computing history. Windows 8 will change the way we use our PCs and phones and its expected to revolutionize the technology world. It is announced that Windows 8 is launched to battle against Apple. From the way it is presented it has it avant-garde and groundbreaking technology. I’ve been using windows Phone 7 for the past year and really like the platform. Although Windows OSes have inherently been sold as part of a “package” with the PC, I think 8 may just break the mould. It has some great potential, particularly with the “touch screen” support that is pretty much the focus of this updated OS. THis is so nice great! It’s difficult to say whether windows 8 would change home computing. It seemed the same with windows 7 and so you might have a windows 9 or 10 out in a few years. But my best windows OS remains XP. I think so that win 8 will change computing and will be seen as future. Win 7 was good and I hope win 8 will be better and more faster. No is the answer, Windows 8 has a lot of work to do!